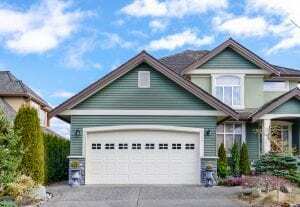 If you’re looking for a company that can provide you with a steel garage door as well as an exceptional customer experience in the Murfreesboro area, look no further than 31-W Insulation. Our company has served homeowners since 1972, so we know what it takes to make our customers happy. During a design consultation, we’ll help you find the perfect garage door that suits your aesthetic tastes and meets your budget. For the installation, our highly trained professionals will install your garage door adhering to our lofty standards of craftsmanship. And your investment in your home will be a safe one because all our steel garage doors come backed by a generous manufacturer’s warranty. With our selection of steel garage doors from 31-W Insulation, you won’t have to shop anywhere else. Contact 31-W Insulation to schedule a consultation at your Murfreesboro area home.